Yes, the protein shakes have officially made their comeback and I’ve been experimenting like crazy with some of them! One, that came up by accident, has now become one of my favorites! Lets talk about this for a second. I love pie. But I hate fruit pies, something about the texture that weirds me out. I love custard or chocolate pies and lemon meringue is right up there near the top of my favorites! 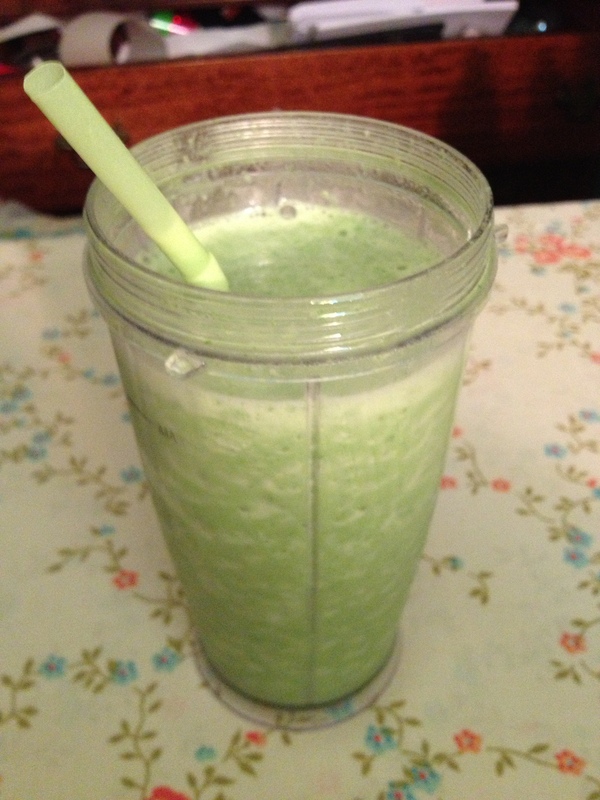 This shake almost looks like a key lime pie and I’m sure you could substitute the lemon for lime and go for that one! The joy of single served blenders is that there is no hassle: just throw it all in, blend and walk away happy knowing you’ve just concocted a fantastic creation. Enjoy, let me know if you like it!